The year after French animator Sylvain Chomet knocked out cinema-goers at the 2003 Edinburgh International Film Festival with his wildly eccentric and utterly charming double-Oscar nominated debut feature, Belleville Rendez-vous (aka The Triplets of Belleville), he and his wife Sally relocated to the Scottish capital and set up their own animation outfit, Studio Django. Drafting in a handful of colleagues from Canada, where Belleville was made, Chomet began making commercials to pay the bills while considering a number of film offers from Hollywood. None of them appealed to the then 40-year-old Frenchman who wanted to sustain his highly idiosyncratic artistic vision with the kind of complete creative freedom that Tinseltown financiers rarely agree to. So, instead Chomet decided to dedicate the next five years of his life to a self-penned second animated feature that would be set in Scotland, in Edinburgh and the Western Isles, in the late 1950s and would tell the story of an ageing itinerant stage magician and a young girl who becomes his surrogate daughter. The finished film, The Illusionist, is every bit as charmingly quirky as its predecessor and, quite appropriately, it’s receiving its UK premiere at the opening night of the 64th edition of the EIFF. Aside from the Scottish influence, there’s another strong source of inspiration apparent in The Illusionist: the French clown prince of comedy Jacques Tati. Chomet’s film is, in fact, based on an un-filmed script written by the late, great Tati, and its main character is modelled on Tati himself. The Tati connection came about as a result of Chomet approaching the comedian’s estate to request the use of a clip from Tati’s film Jour de Fête in Belleville Rendez-vous. Tati’s daughter, Sophie Tatischeff, was impressed enough by what Chomet’s producer showed her of Belleville to not only grant his request but also to suggest he adapt a script her father wrote between 1956 and 59 but subsequently shelved. It’s also magic from beyond the grave, appropriately enough. The Illusionist, Festival Theatre, Edinburgh, Wed 16 Jun. 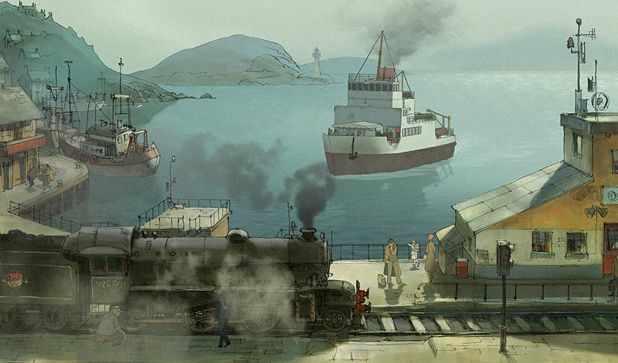 Making Of The Illusionist With Sylvain Chomet, Cineworld, Edinburgh, Wed 17 Jun, 6.15pm.